Tired of the same, old, traditional pumpkin pie for the fall season? No worries, we’ve got you covered with some sweet pumpkin treats. 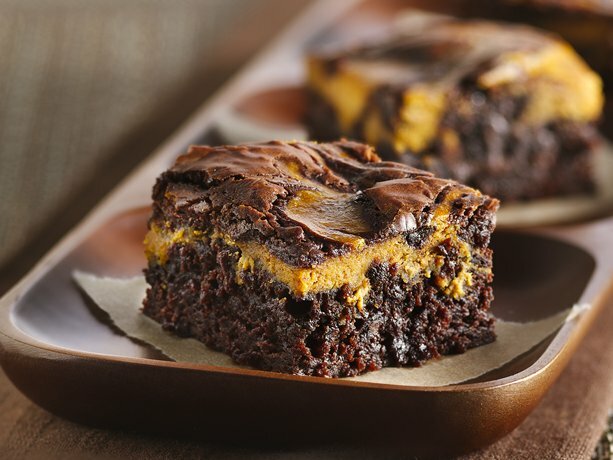 Whether you’re looking for a twist on a classic to accompany your Pumpkin Spice Latte or something with more of a delectable extravagance factor – these recipes are sure to be a hit regardless of what path you choose. 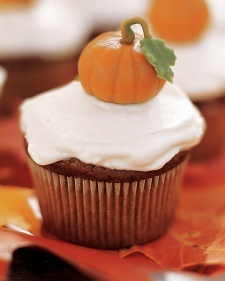 Although these treats may be too tasty to leave your sight, remember to share and spread the love of fall! 1. Heat the oven to 350 degrees F (325 degrees F for dark or nonstick pan). 2. Grease the bottom only of a nine-inch square pan with shortening or cooking spray. 3. In small bowl, beat all filling ingredients with an electric mixer on low speed until smooth. Set aside. 4. Make brownie batter as directed on box, using ¼ cup vegetable oil, 2 tablespoons water and 1 egg. 5. Spread ¾ of batter in the pan. 6. Spoon filling by tablespoonfuls evenly over the batter. 7. Spoon remaining brownie batter over the filling. 8. Cut through the batter several times with knife for marbled design. 9. Bake 40 to 45 minutes or until a toothpick inserted 1-inch from the side of pan comes out clean. 11. Cut into 4x4 rows. 12. Store covered in the refrigerator. 1. Combine the pumpkin, sugar, veggie oil and egg. 2. In a separate bowl, stir flour, baking powder, ground cinnamon and salt together. 3. Dissolve the baking soda with the milk and stir in. 4. Add flour mixture to pumpkin mixture and mix well. 5. Add vanilla, chocolate chips and nuts. 6. Drop by spoonful on greased cookie sheet and bake at 350 degrees F for approximately 10 minutes or until lightly brown and firm. 2. Line cupcake pans with paper liners; set aside. 3. 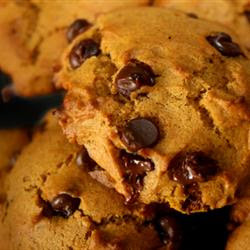 In a medium bowl, whisk together flour, baking soda, baking powder, salt, cinnamon, ginger, nutmeg and allspice; set aside. 4. In a large bowl, whisk together brown sugar, sugar, butter and eggs. 5. Add dry ingredients and whisk until smooth. 6. Whisk in pumpkin puree. 7. Divide the batter evenly among liners, filling each about halfway. 8. Bake until tops spring back when touched and a cake tester inserted in the center comes out clean, 20 to 25 minutes, rotating pans once if needed. 9. Transfer to a wire rack; let cool completely. 2. Lightly coat a 9-inch pie plate with cooking spray. 3. In a medium bowl, toss together butter and crushed chocolate wafer cookies. 4. Spread into pie plate; press evenly onto bottom and up sides. 5. Bake for 5 minutes. Cool on a wire rack. 6. In a large bowl, beat cream cheese and sugar with an electric mixer on medium speed until combined. 7. Add eggs, one at a time, beating on low speed after each addition just until combined. Stir in pumpkin, vanilla, pumpkin pie spice and salt. 8. Pour pumpkin mixture into baked crust. 9. Bake 40 minutes or until mixture is slightly puffed around edges and just set in center. 10. Cool on a wire rack for 1 hour. 11. In a small microwave-safe bowl combine dark chocolate and cream. 12. Microwave on high for 30 seconds to 1 minute; stir until smooth. Let stand for 15 minutes. 13. Pour chocolate mixture over the cooled pie, spreading evenly. 14. Chill, uncovered, for 1 hour. 15. Cover and chill for 2 to 24 hours more. 16. 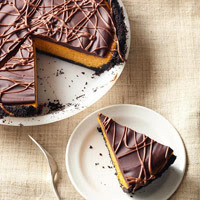 If desired, drizzle with milk chocolate.